Home Non Fiction for Kids Features for Kids Aristotle can’t remain Ignorant! The Greeks were a passionately curious lot. When Alexander the Great set off in 334 BC on the famous expedition that took him over the Hindukush into Tashkent and Kashmir, he was accompanied not only by navigators, guides and surveyors, but historians and philosophers as well. So when Aristotle discusses elephants, it is the diet, digestive organs, teeth, age of maturity, and length of pregnancy of the Indian elephant that he is talking about, not the African variety. Aristotle firmly believed that we have a duty to know. That is what humans are there for, and that the spirit of enquiry is what leads them to happiness. He was convinced it is the closest that humans can come to being immortal. Born at Stagira in Macedonia, Aristotle was one of the most influential philosophers of ancient Greece (the city state of Macedonia was under the rule of Athens, the towering symbol of Greek civilisation). He was the star disciple of the renowned philosopher, Plato, who studied under the great teacher, Socrates. 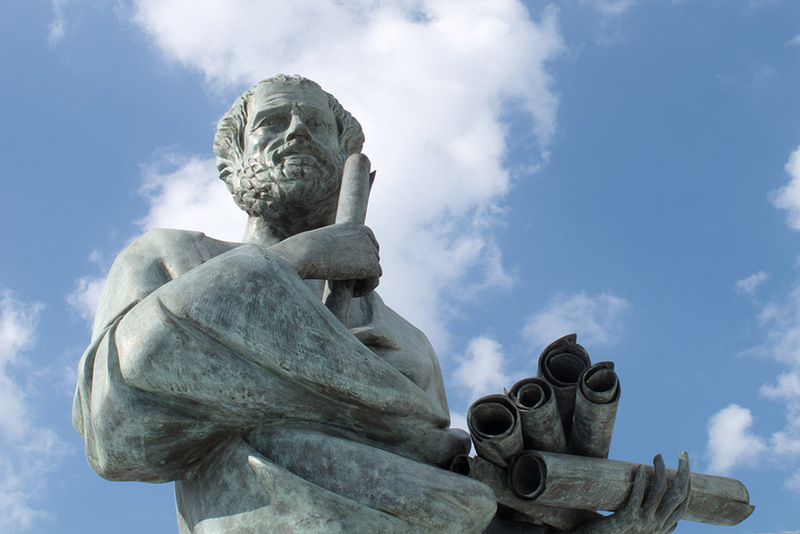 At 17, Aristotle joined Plato’s academy in Athens, and remained there until the philosopher’s death. Between 343 and 340 BC, Aristotle tutored the young Macedonian, Alexander, later known as a great conqueror. In 335 BC he returned to Athens where he founded a school, the Lyceum. Here he organised and carried out research on many subjects, and built a great library in the belief that it was necessary for humans to probe every aspect of the world around them. On the death of Alexander, in 325 BC, anti-Macedonian feeling in Athens caused Aristotle to retire to Chalcis, where he died, in 322 BC. From the Woodpecker volume 2000, brought out by the Academy of Mountain Environics, an NGO based in Dehra Dun, in north India. Creating environmentally sustainable technologies at the local level is its main concern. Previous articleHow Does Ice float?